Are you searching the most unmatched deals on flights with China Eastern? Then, you have reached the right destination. China Eastern Airlines Co Ltd (CEA) is one of the largest airlines of China. Founded in 1995, China Eastern Airlines Corporation Limited is based in Shanghai. The airline is one of the three major airlines in Mainland China. China Eastern serves 70 million passengers to various destinations worldwide every year and is ranked among the top 10 airlines in the world when it comes to the volume of passengers being transported to their destinations. China Eastern takes pride in being an official member of SkyTeam and the airlines’ flight network will see an expansion of 926 cities in 173 countries via the close cooperation with SkyTeam member airlines. CEA has its primary hub in Shanghai and connects several passengers to 197 destinations and operates a world-wide flight network that includes China, connecting Asia, Europe, America and Oceania. The airline has been honoured with the “Annual Laureate Award” and “10-year Cordial Service Award” by IATA. 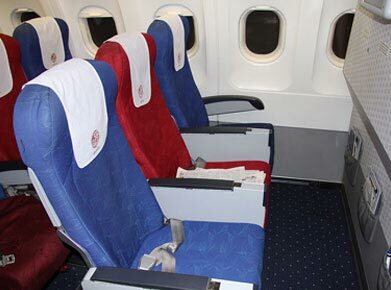 Passengers flying with China Eastern’s Economy Class are provided a great level of comfort. They are provided a minimum seat pitch of 32 inches. 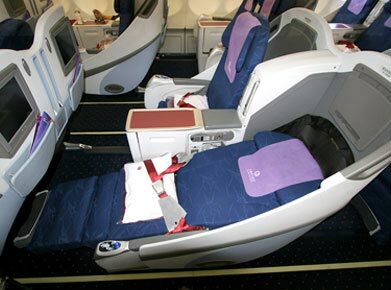 On A340-300s, seat pitch is 32 -34 inches. Passengers are provided laptop power points. You can relax yourself with fully adjustable Headrest with side flaps. Lay your foot on individual footrests. Take pleasure in drop-down TV screens which air two Western, one Chinese and one French film plus a news programme. You can feast on different food options that include Western and Chinese dishes. Passengers flying in Business Class look forward to indulging themselves in a finest level of luxury and comfort as they take up in the air with one of the world’s most preferred airlines. Travellers can experience personalized services in a tranquilizing atmosphere. China Eastern offers its passengers an exceptional to fly and its state-of-the-art aircrafts have immensely contributed to the success of the airlines. You can get into the swing with new angled lie-flat seat. Look for a perfect massage with in-built massage feature. Explore different stuff on your laptop with laptop power points. Give a treat to your eyes with an individual interactive entertainment system. Baggage allowance of 40 KGs. Passengers are given an ultimate time of their lives with in-flight entertainment. Business class travellers can acquire an access to a comprehensive programme of entertainment with the expanded China Eastern Media Panel. Travellers can lay their hands on the four options like MUcinema, MUcdplayer, MUTV station and MUshow which can be separately selected via the personal screen in front of each seat. You are a privileged one as you are bestowed with a wide array of 100 video options with 30 films documented in up to 8 languages, 30 TV programmes and 17 music languages from various parts of the globe. Indulge in a massive selection of audio books, 23 radio programmes equipped with several international channels, action games, board games and many more.